- taking photographs of Kadavu that will be auctioned off, with all proceeds to be used for the Wananavu Kadavu project. - providing help for the Wananavu Kadavu project in any way possible and will be bringing over supplies such as clothing and educational items. - Offering to give advice and tips on improving and economizing in the Village. - Helping build and repair anything of need. - Dexter has been a professional magician for over 35 years and has offered to put on a magic show for the people of Kadavu. - Willing to help in any way needed. - Bringing building supplies, anti-bacterial ointment, first aid supplies. Heinz Mahler, our legal adviser will be joining us later in April to assist with completing the water project construction. As founder of Wananavu Kadavu I will bring with me building supplies for the next water project and clothing for the Fijian families we have grown to love. I am looking forward to seeing familiar faces and enjoying the delicious food they prepare. While we are in Fiji we will be working closely with Ben Sorensen who has been our project manager working in Fiji since 2009. Through his many hours of service working side-by-side with community we completed our first project to bring better drinking water to the village of Nuku. 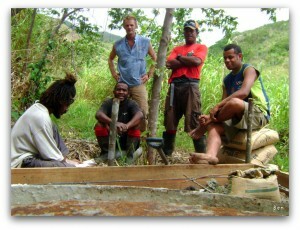 We are now preparing for our second water project on the island of Kadavu during our April 2010 stay in Fiji we will begin. Without Ben's hard work and dedication to Wananavu Kadavu, our friends in Kadavu and Fiji and friends around the world who have given financial support, shelter, food, this project would not have been possible. I would also like to thank Scott Sorensen for his dedication, time and skills in helping to start the Wananavu Kadavu project as well as his continued support of our efforts. Please feel free to contact us if you have any suggestions or would like to help with our on going efforts to bring safe drinking water to the people of Fiji. to be used for the Wananavu Kadavu project. will be bringing over supplies such as clothing and educational items. -Helping build and repair anything of need. -Willing to help in any way needed. -Bringing building supplies, anti-bacterial ointment, first aid supplies. assist with completing the water project construction. continued support of our efforts. water to the people of Fiji. 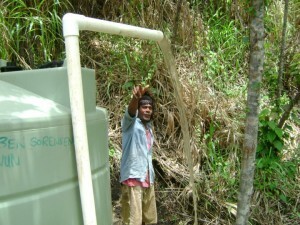 All money goes directly to Wananavu Kadavu~Water Project.